Stop motion animation is its own unique field of artistry. While it is lumped in with other animation, it has its own wizards and iconic touchstones. The roots of stop motion go as far back as hand-drawn animation, back before the turn of the last Century. 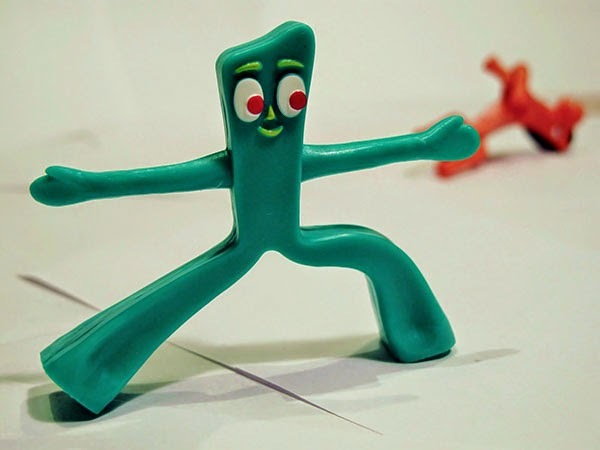 It received a major boost in the 1950s with the "Gumby" projects of Art Clokey, and periodically gets revived. While in many ways more difficult than hand-drawn and modern computer Graphics animation, stop motion also was quite feasible in the earliest days of film. While time-consuming, it remains a unique medium that creates a form of detached realism that is unique in cinema. This is a list of our favorite stop motion creations. Purists will say that these are not just films, but, in our view, everything on here is a complete work of art and, thus, a film. You will notice the same names over and over because this is a specialized field with craftsmen who dominate this intricate field. We're not looking just at pure technical quality, but rather at the masterful use of stop motion to create a work of art that stands the test of time. Peter Gabriel goes through all sorts of contortions in "Sledgehammer"
Peter Gabriel had left Genesis and things weren't going so well. Gabriel had been poking around for a decade, trying to make a splash, and it wasn't happening. It was the mid-80s, and time, quite frankly, was running out. While perfectly successful, and the creator of some minor hits, Gabriel had not broken through as a solo artist the way everybody knew he could. He came out with his album "So" in 1986, and everybody crossed their fingers. To everybody's delight, it was a smash success on both sides of the Atlantic, and much of that success had to do with the music video for lead single "Sledgehammer." The video, created by then-unknown British shop Aardman Animations and directed by Steven R. Johnson, carried the album and is generally considered one of the greatest music videos of all time. It certainly is for this reviewer. Tim Burton by this time was renowned as the auteur of stop motion, and he did not disappoint with "Frankenweenie." It was Burton's pet project, one he had been working on for thirty years, and the smash success of his 2010 "Alice in Wonderland" paved the way for this homage to the Frankenstein films of the 1930s. 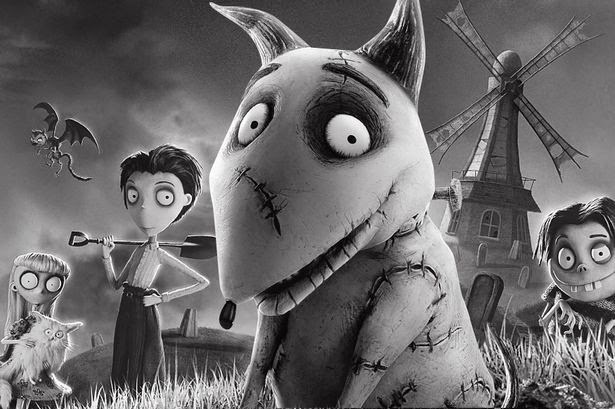 "Frankenweenie" is on here because it is delightfully creative and a true labor of love for Burton, who honored Hollywood classics and created indelible screen images while coming up with an insane story. This is another Tim Burton entry, and it is has one of the most macabre plots of any Hollywood feature film. Burton co-directed it with Mike Johnson, and all of the standard Burton touches are apparent: dark and moody stop motion, an examination of the line between life and death, and all sorts of jokey, self-referential commentary. Johnny Depp and Helena Bonham Carter are perfect as the lovers who will be united 'til death do them part, one way or the other. 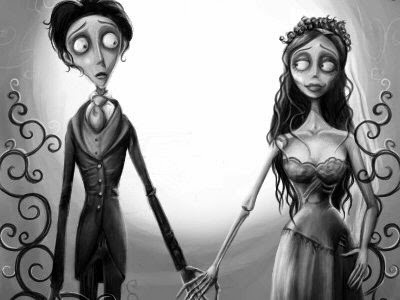 "Corpse Bride" hit a nerve with many artistic types who see in it a perfect representation of the dark underpinnings of even the most seemingly joyous events. Aardman Animations, which had made smaller projects through the years since its founding in the 1970s, including Peter Gabriel's classic "Sledgehammer" music video, leapt into the animated feature film big time (that's a Peter Gabriel pun right there) with "Chicken Run." The film has a distinctly British sensibility and could in no manner ever be mistaken for a Hollywood production - and that is a good thing. The world needs a little variety. Mel Gibson carries this tale of slapstick and adventure as a group of chickens tries desperately to avoid its fate in the stew pot. 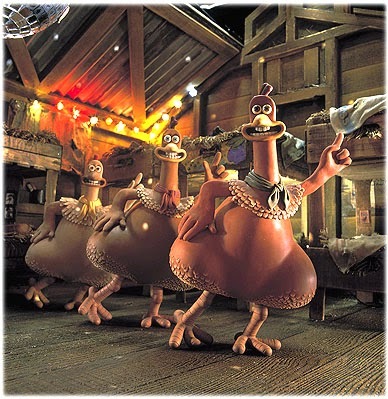 And there were chickens featured prominently in both "Sledgehammer" and "Chicken Run." Hmmmmm. I absolutely understand that, even if people could accept my inclusion of a music video in this list, nobody is going to respect a tv commercial. 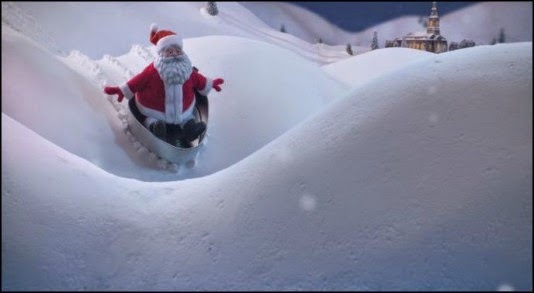 Well, let me just say in defense of this choice that the 1970s Norelco Santa commercials were among the most ingenious tv spots ever made. The quality of stop motion was dazzling, and seeing them after one of the holiday specials was almost like a continuation of the show itself. If you are old enough to remember these, you'll appreciate that they ran constantly during the Christmas season and were as much a part of the holiday background as wreaths and tinsel. That's not bad for an ad for newfangled electric razors. Here is another controversial choice, but really, "Jason and the Argonauts" belongs on any top ten list of stop motion. Don Chaffey directed this classic tale based on the Greek legends, but all the stop motion kudos go to the legendary effects master Ray Harryhausen. Quite frankly, any list of stop motion animation classics that doesn't include something by Harryhausen isn't worth squat. 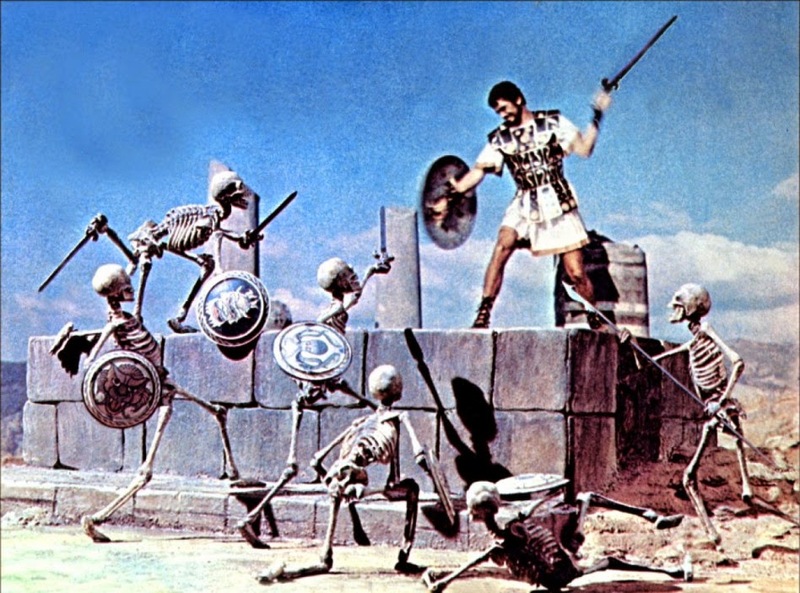 "Jason and the Argonauts" may not have been the greatest film of all time, but the iconic and fantastic fight with the skeletons remains one of the most fantastic sequences in motion picture history. 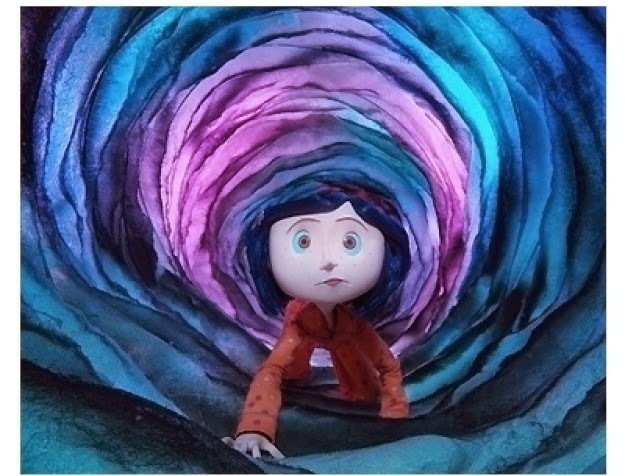 Everybody thinks that "Coraline" is another Tim Burton film because it has that distinctive look to it, and they're almost right. It was directed by Henry Selick, a Burton sidekick, but Burton was off doing other projects (the billion-dollar-grossing 2010 "Alice in Wonderland"), and Burton had no formal role. Based on the 2002 children's book by Neil Gaiman, "Coraline" creates its own creepy world that has many similarities to "Corpse Bride," relying on half-remembered childhood nightmares to create a dark alternate universe not unlike the one Alice encountered beyond the looking glass - only creepier. Yes, 2009 was a great year for stop motion, and Wes Anderson did his part. Anderson directed this wacky tale of anthropomorphic woods creatures that starred the voices of George Clooney and Bill Murray, among many other top names. 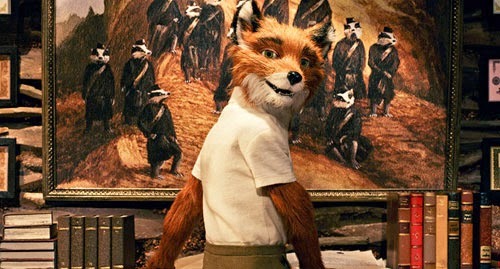 "The Fantastic Mr. Fox" was based on a lesser-known Roald Dahl children's book (everyone remembers "James and the Giant Peach" and "Charlie and the Chocolate Factory"), and Anderson threw in all sorts of subtle homages to other classic stop motion such as "Rudolph the Red-Nosed Reindeer." It is rare for someone outside the field to pull off a top-notch stop motion classic, but Anderson somehow managed to do it. When you get your name in the title (that is how the film always has been promoted), well, there's no finer compliment. Tim Burton as producer/writer took a seemingly obsolete art form that had fallen into dis-use after the classic Rankin/Bass productions of the 1960s and 1970s and once again revived it as so many had before him. 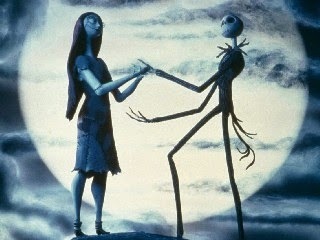 Directed by Henry Selick, "The Nightmare Before Christmas" created a wacky world where holidays compete against each other and everybody is in on the joke. Burton, who had been just an average Disney animator during that studio's lowpoint in the early 1980s, wrote a poem and got it made into this film. "Nightmare" remains a holiday classic and is credited with the renaissance of stop motion that continues to this day. There is absolutely no question to this reviewer that the 1964 Rankin/Bass stop motion film "Rudolph the Red-Nosed Reindeer" is the epitome of stop motion animation. In continuous tv play during the holiday season for 60 solid years, "Rudolph" has been seen by more people than any other stop motion. 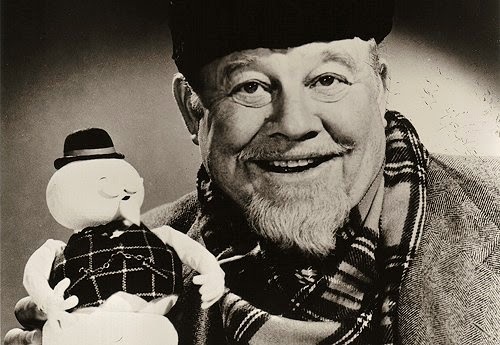 It still to this day draws high ratings when it is aired, and was the crest of Burl Ives' acting and singing career. The single "Holly Jolly Christmas" derives from "Rudolph" and also remains a perennial holiday classic. While some will decry the somewhat jerky stop motion and simplistic figures, they are completely missing the point: top stop motion (and film in general) is not about technical superiority, it is about being able to entertain. There is no other project on this list that even approaches the amount of delight that "Rudolph the Red-Nosed Reindeer" has created in several generations of children - and adults. The fun continued with follow-up Rankin/Bass classics such as "Santa Claus is Coming to Town" that could also make this list on their own merits.